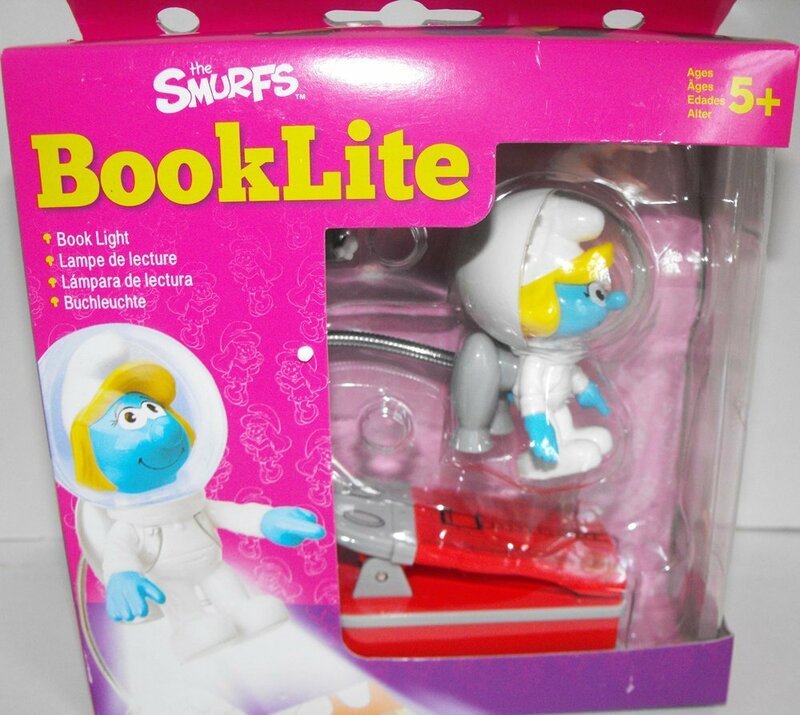 This Smurfette book light clips onto a book and has 3 AAA batteries and 2 LED lights. The batteries and light bulbs come included in the box. The box is new and never opened.